An American symbol of hospitality, the pineapple block has been a favorite for generations. With the Log Cabin assembly-line construction as an inspiration, Loretta Smith developed a simple technique to make blocks a uniform size using the Square Up ruler. 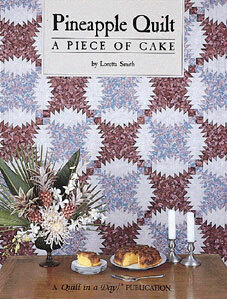 Complete with yardage charts and a variety of quilt sizes, this book is filled with detailed illustrations. 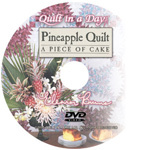 Included are suggestions on machine quilting a popular one inch mitered binding. The 12 1/2" Square Up Ruler is a must.